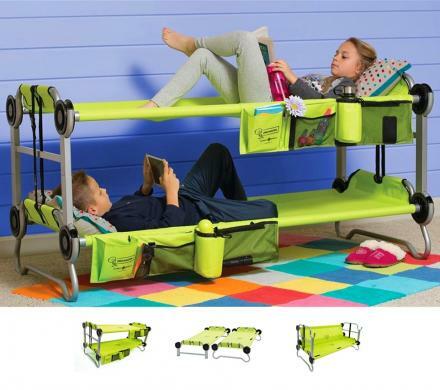 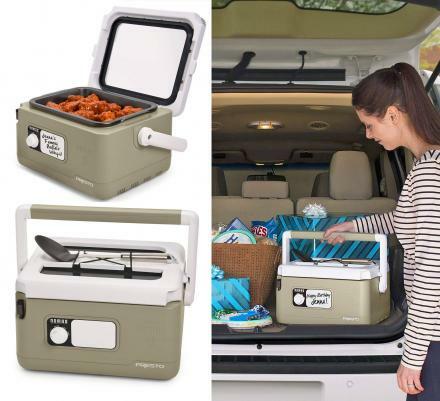 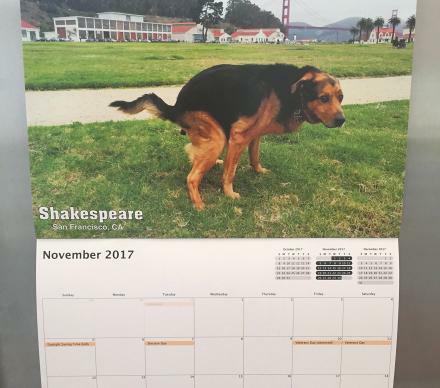 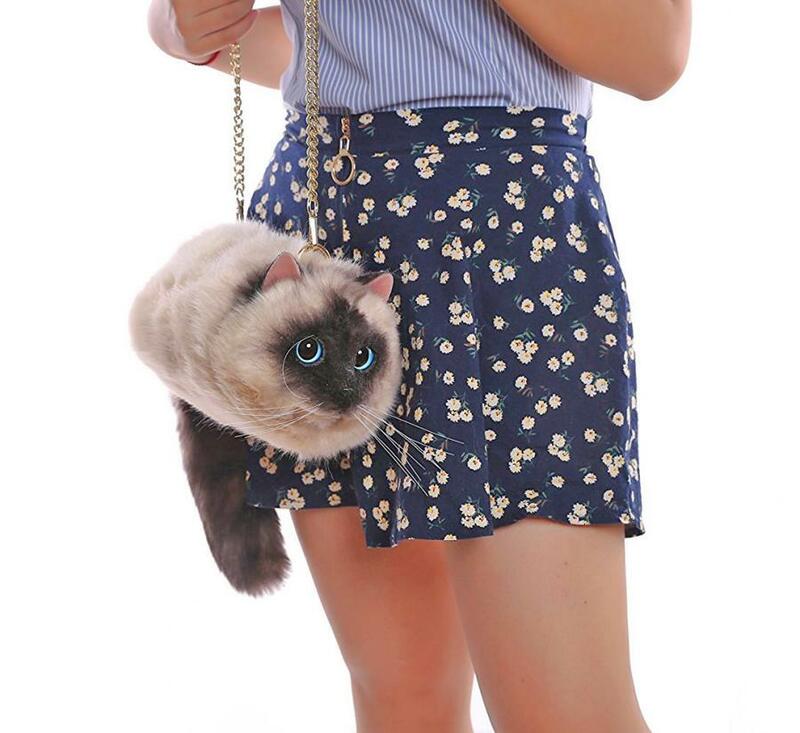 If only there was a way to carry around your cat with you all day without have to deal with the repercussions of how naughty your cat will actually act in public. 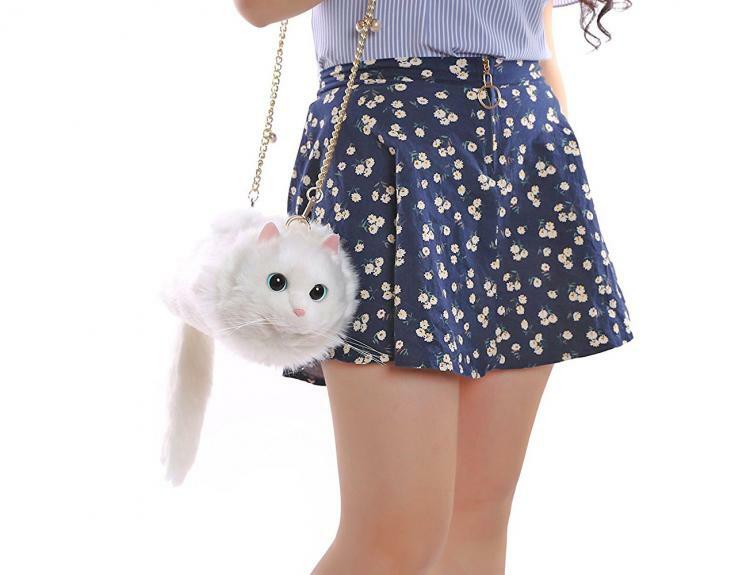 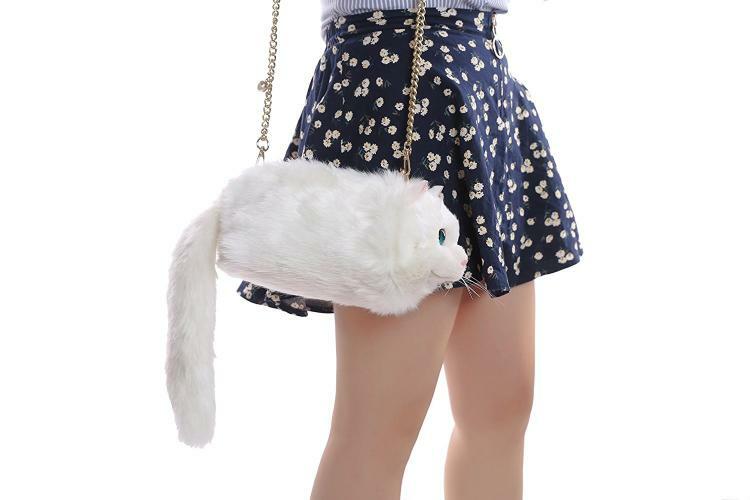 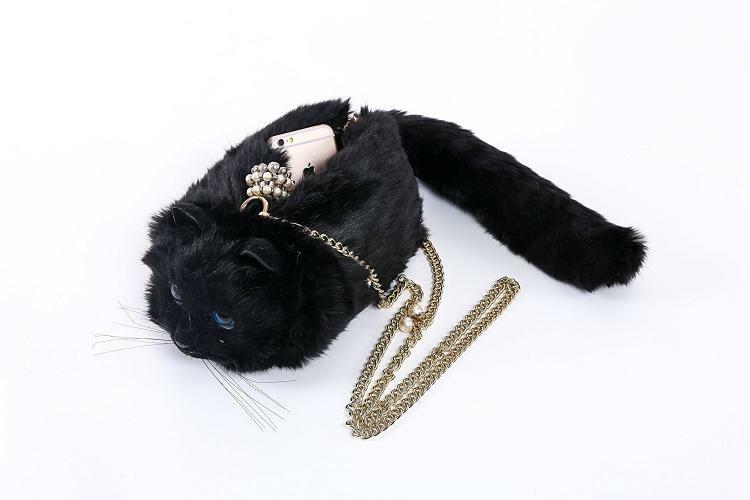 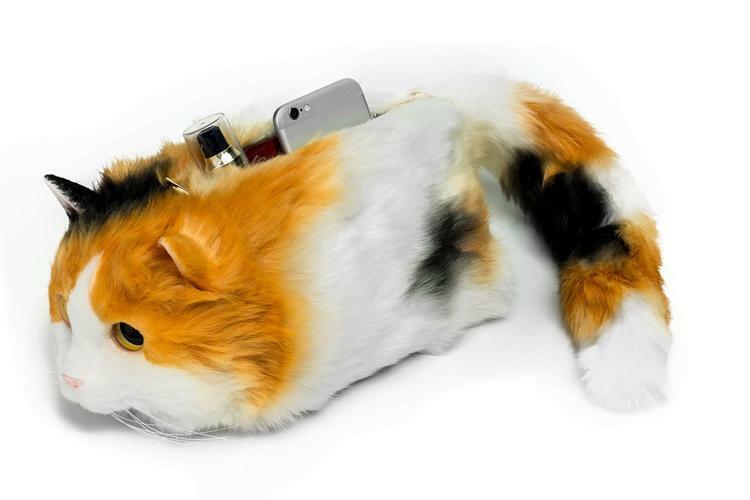 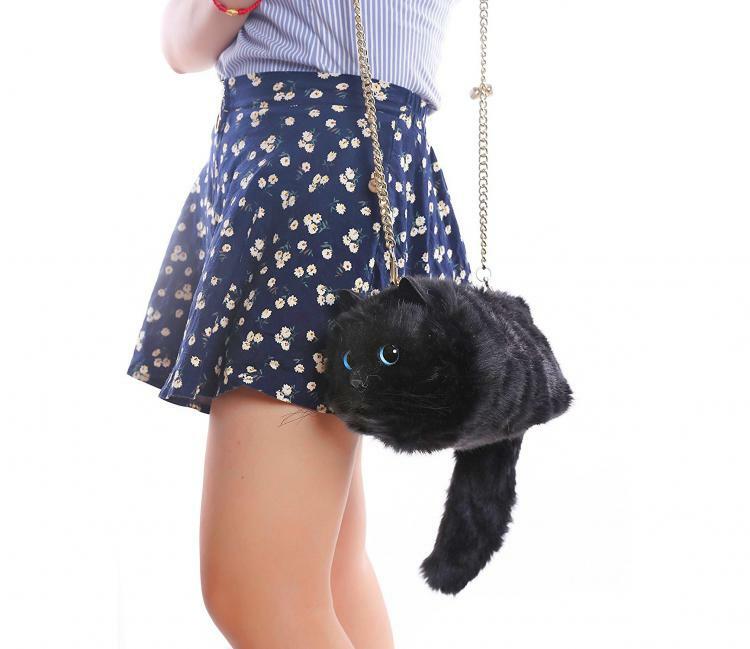 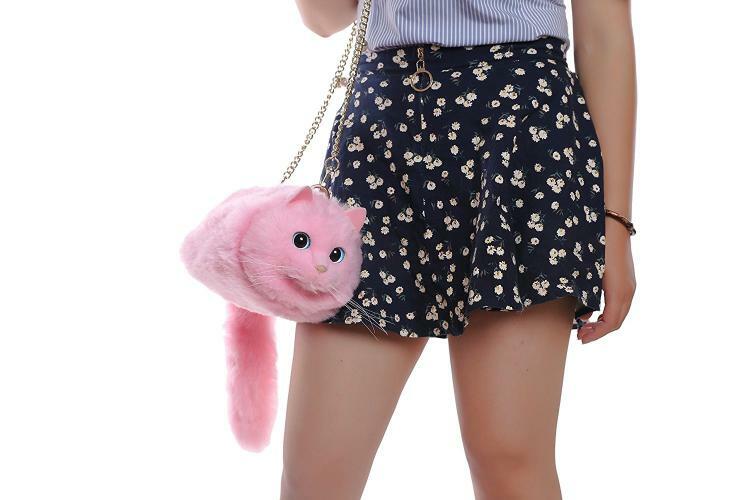 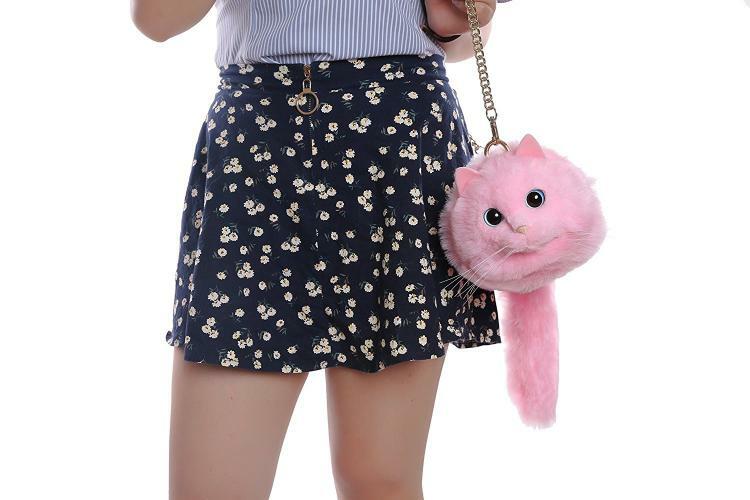 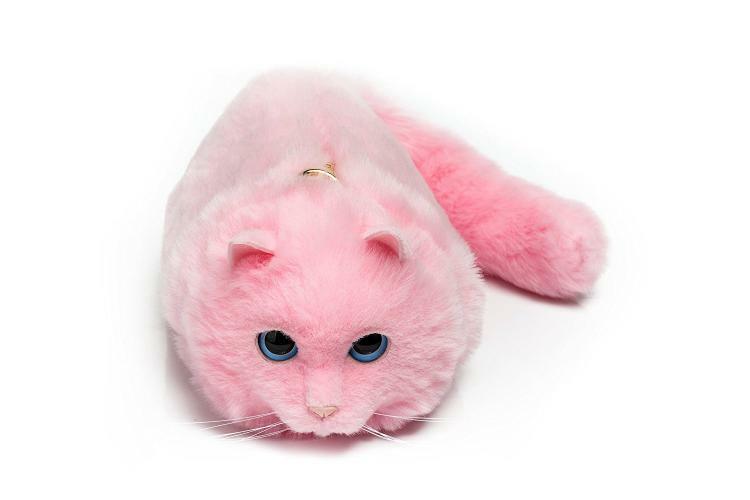 These hand bags are made to look like real cat bodies, except instead of a playful cute little kitty, you get a lifeless cat carcass with it's innards scooped out so you have a place to keep your lipstick, car keys, and wallet. 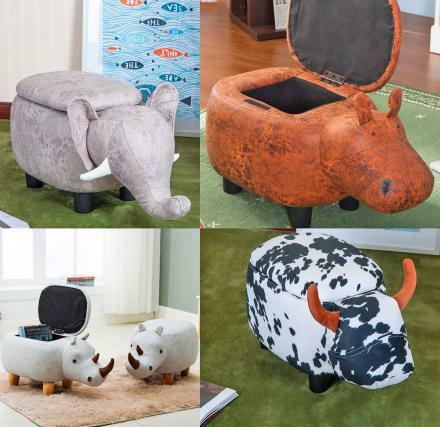 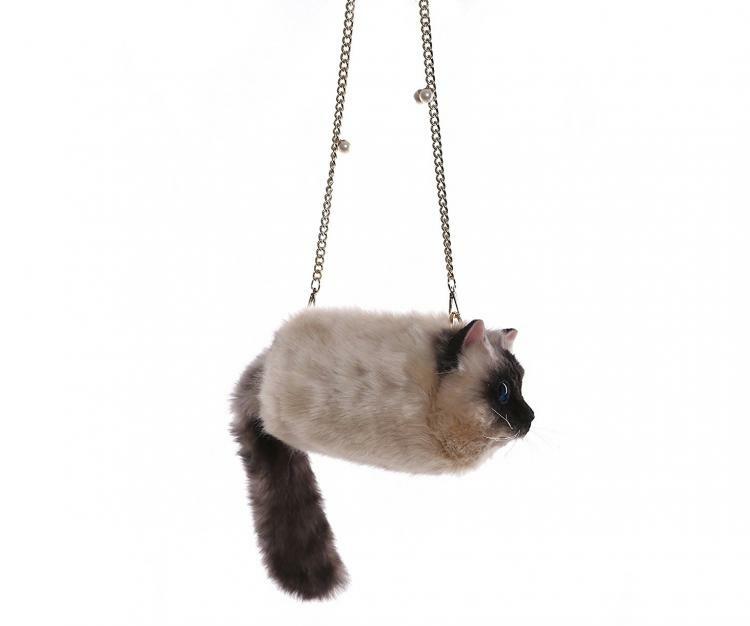 No they're not really made from actual cats, but they sure do look real. 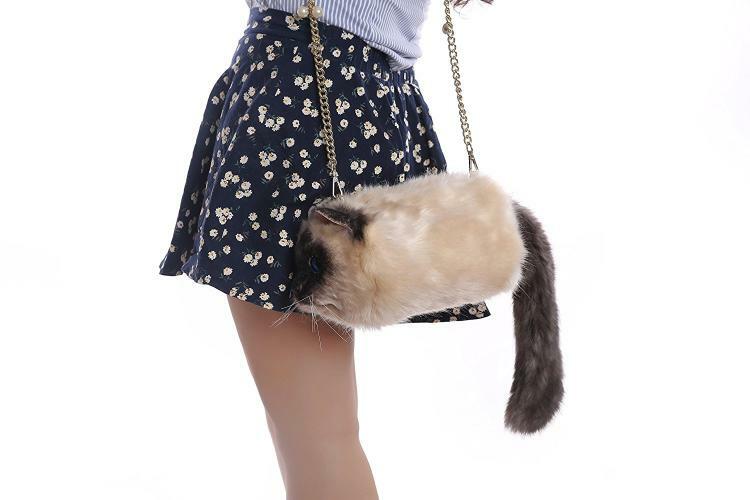 Who wouldn't want a purse that looks like a real cat that has some straps attached to it that you can throw it over your shoulder? 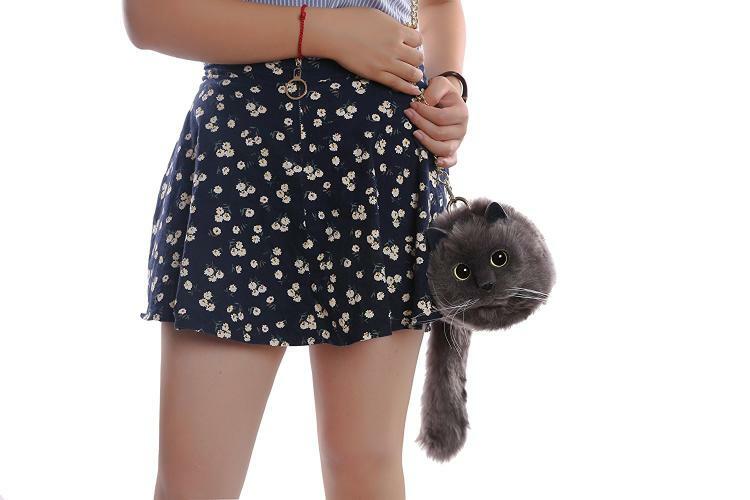 The realistic cat hand bags have a zipper on the top of the back to access the main cavity of the purse, and can be used as a shoulder bag, crossbody bag, or a handbag depending on how you situate the strap. 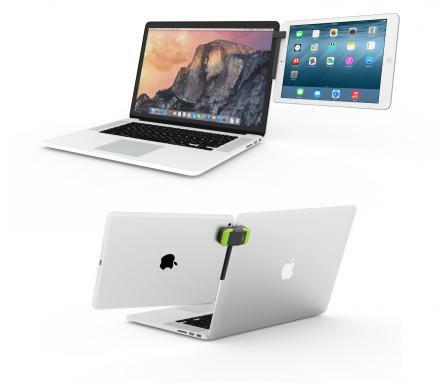 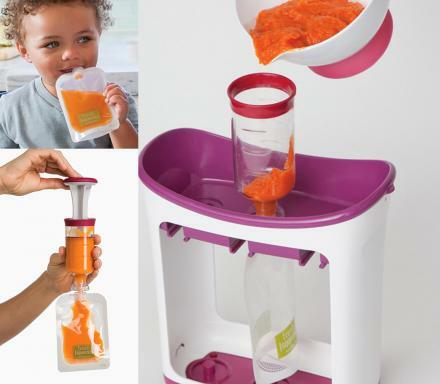 You can even remove the should strap completely so you can just carry around a cat purse by itself. 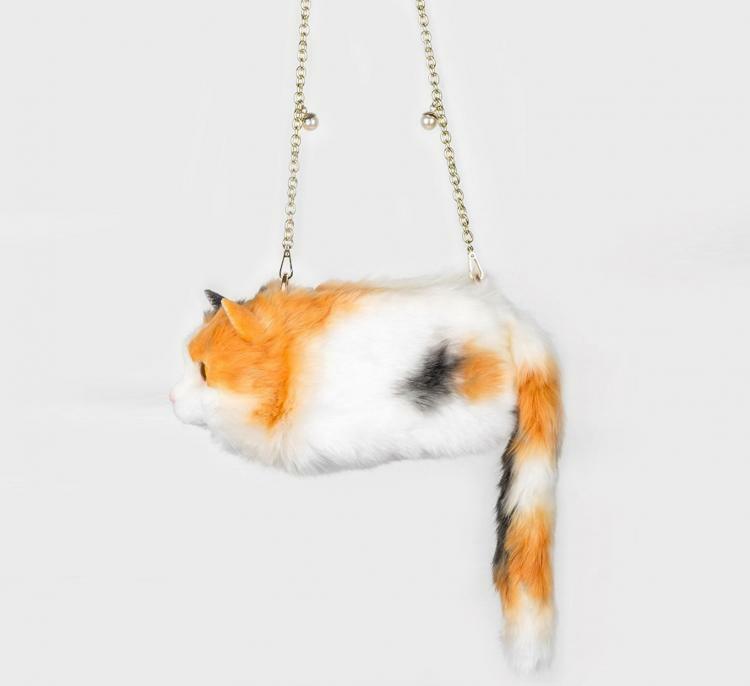 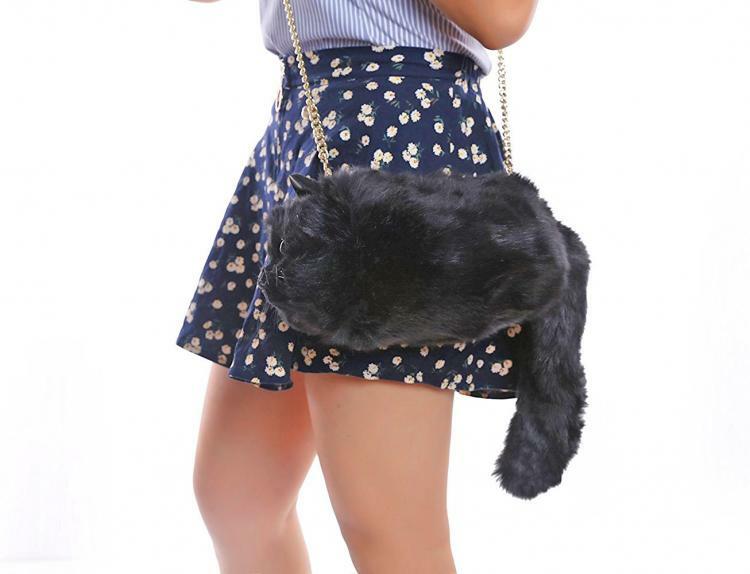 The realistic cat body purse comes in a few different colors to choose from, is made from faux fur, and will surely be an instant conversation starter for whoever sees it. 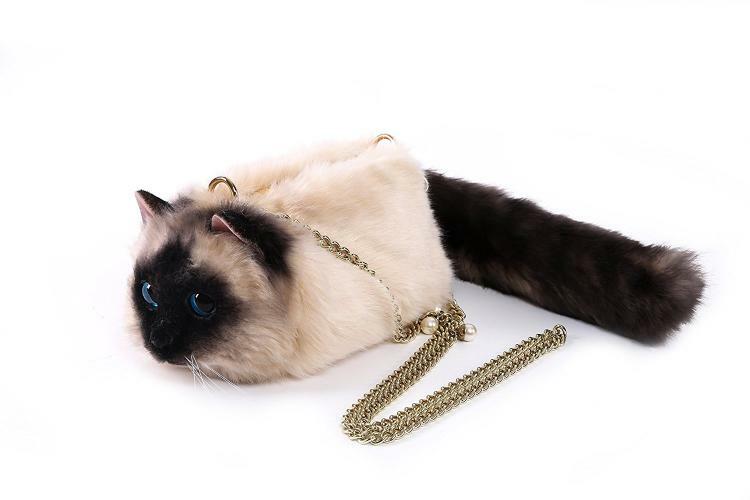 Check out the realistic cat bag in action via the video below.